The spot infamous for where the Pilgims landed, Plymouth Harbor and the town of Plymouth have a long history of welcoming visitors from all over the world. 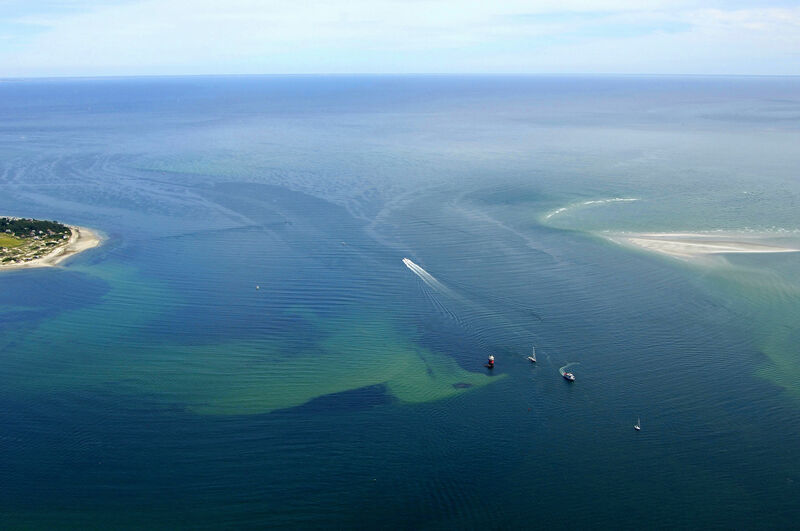 Plymouth Harbor is located off Cape Cod Bay about 21 miles from Provincetown/Cape Cod and 30 miles southeast of Boston. The main entrance to Plymouth Harbor is deep and wide, with 18- to 22-foot depths throughout, swallowing to nine- and 12-foot depths farther in toward town. 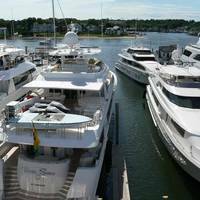 Once you have cleared the entrance, you travel down a dredged channel to Plymouth where there are excellent opportunities for shopping, provisioning, or taking a rest. The image above is a view from the east looking west over the Plymouth Harbor entrance. 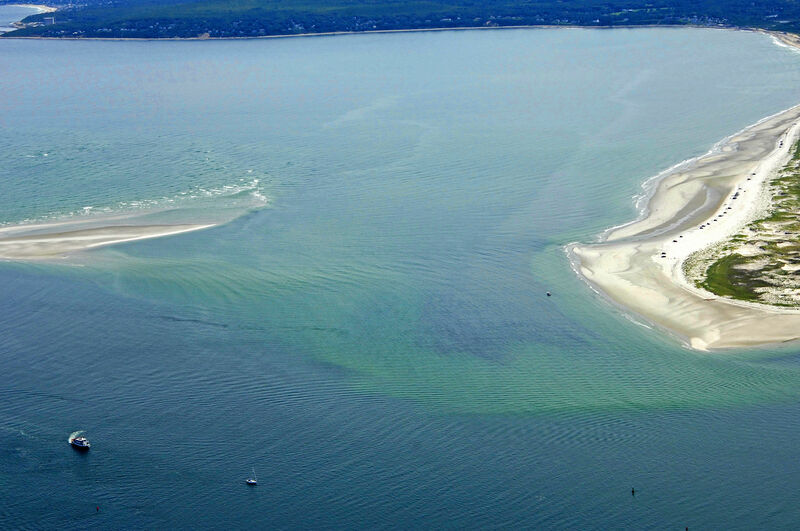 Off to the right (north) of the image is Saquish Head, which is at the southern end of Saquish Neck. In the center of the image is Duxbury Pier Light, a small speck that you can zoom in on to see clearly. 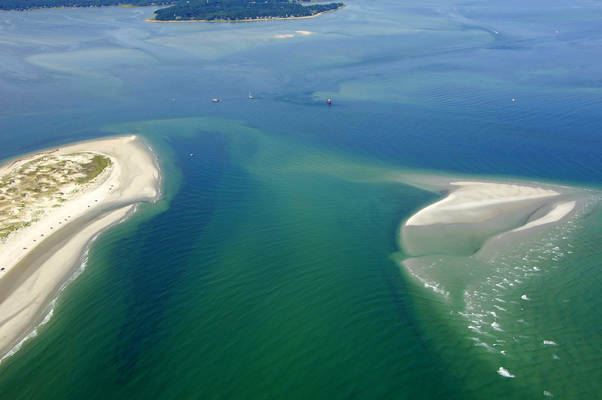 To the left are the sand shoals that extend north off of Plymouth Beach, and lastly, the town of Plymouth is located off the image to the left (south). 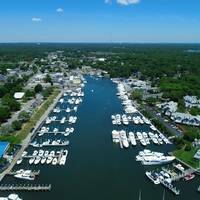 There are five marinas in the town of Plymouth and two of them accept transient guests; be sure to call ahead for availability before you arrive in the area. 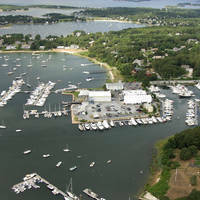 If you need fuel, three of the five marinas have both gas and diesel fuel. Brewer Plymouth Marine has a lift for haul-out and related repairs. 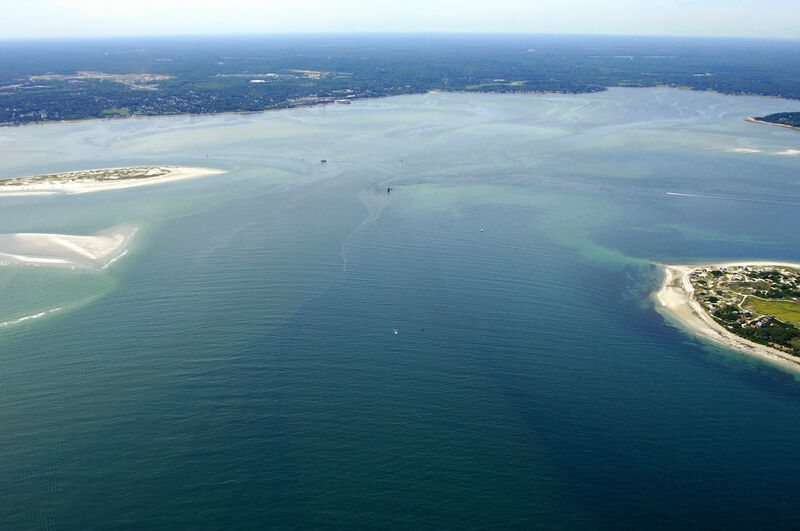 Plymouth Harbor is reached via an approach from the east through Cape Cod Bay. The entrance to Plymouth Harbor starts with flashing green buoy 1, which is located near waypoint N41 59.713 W70 35.403. 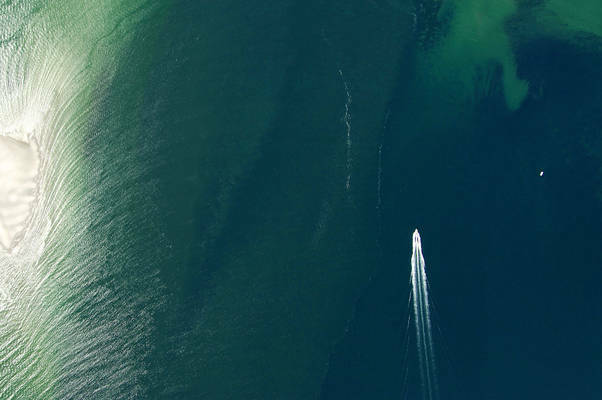 Once you have safely navigated to flashing green buoy 1, head west and leave the following buoys to port: Flashing green buoy 3, flashing green buoy 5, Green can 7, and then leave red nun buoy 6 to starboard. Next in line toward the south are red nun buoy 10 and green can buoy 11, which are located just north of the first Plymouth Harbor Channel Light (quick flashing red 12). 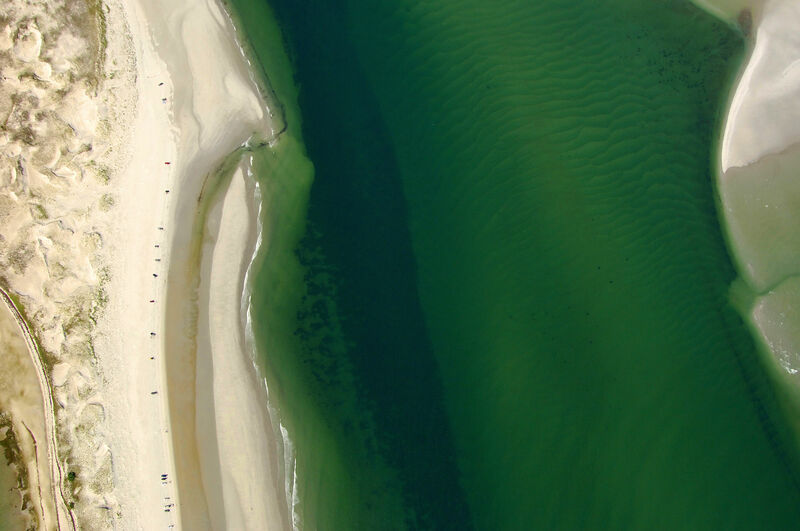 Next in line, in order, are green can 13, red nun 14, green can 15, red nun 16, and then the second Plymouth Harbor Light (flashing green very four seconds 17). Finally, you have reached the last bend into the harbor itself. Simply follow in red nun 18, green can 19, red nun 20, green can 21, and then red nun 22 inito the harbor. There is a range light to help guide you in. No reviews yet! Be the first to write a review of Plymouth Harbor Inlet.